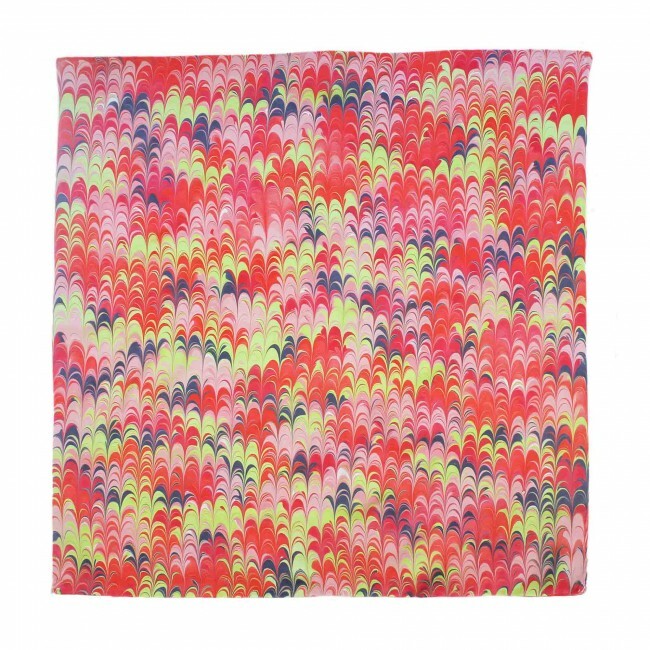 The Bonbon silk scarf is a mixture of lime, ointment pink, cherry, scarlet and ink colours. 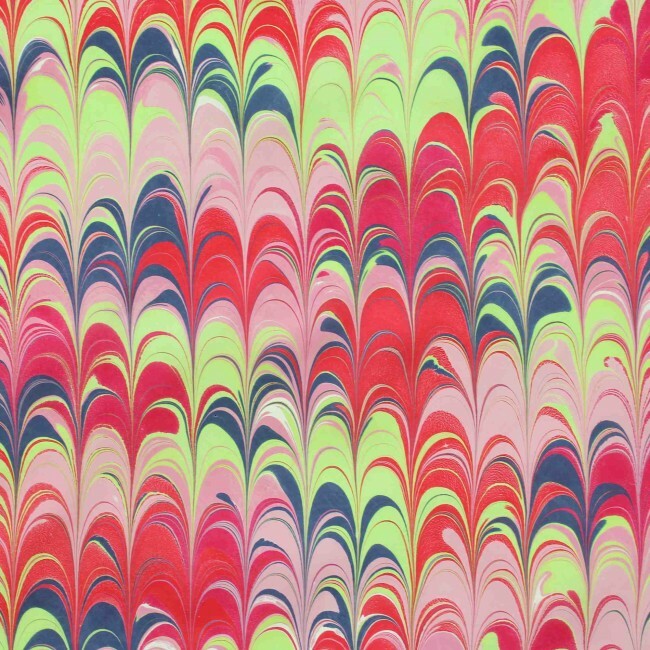 It is individually hand dyed onto 100% Habotai silk using a marbling technique. Each one has hand rolled edges and an English finish. 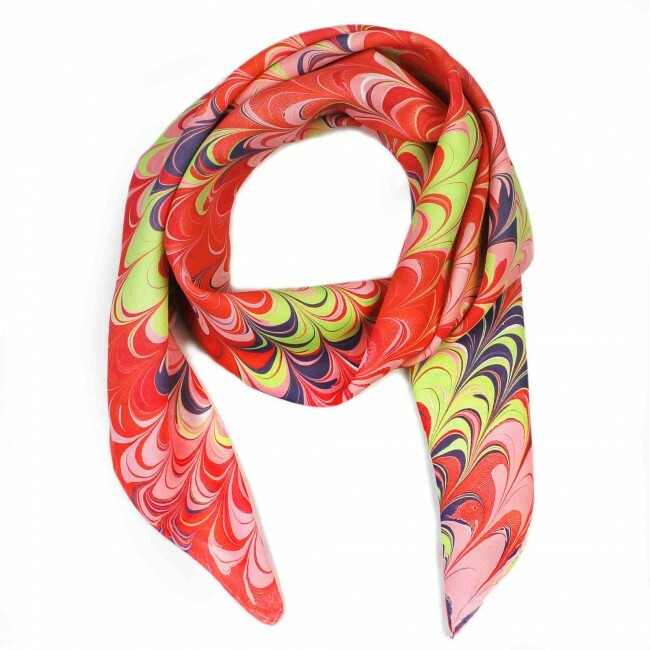 The scarf is a one off piece created in a dye bath using rakes, styluses and brushes in the traditional marbling method. Your scarf is unique and will vary slightly from that shown in the photograph. Two sizes available: Large square 90 x 90cm and oblong 28 x 114cm. 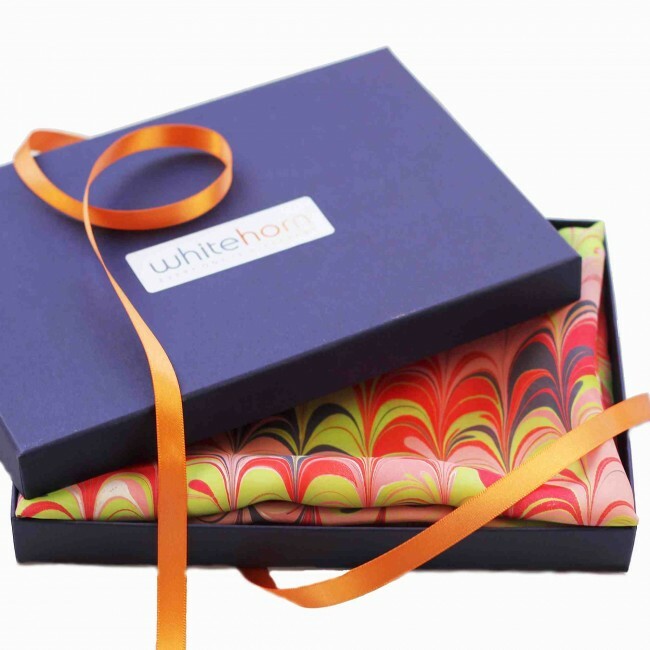 Each scarf is packaged with tissue paper and presented in a beautiful navy box tied in ribbon. Personalised messages can be added making the perfect gift.